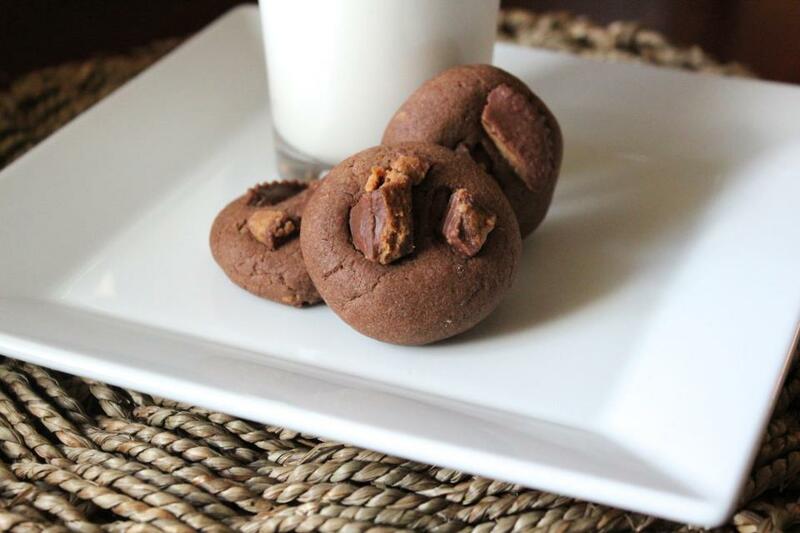 Happiness Project Recipe #25: “Thank You” Peanut Butter Cup Chocolate Cookies! Preheat your oven to 350F. Line 2 baking sheets with Silpat baking mats or parchment paper. Freeze your 1-1/2 cups peanut butter cups for 30 minutes before chopping them up with a serrated knife into small pieces. They will be much easier to handle when frozen. In a large mixing bowl, combine the flour, cocoa powder, baking soda and salt. Stir to combine. In another large bowl on a stand mixture, beat the butter, peanut butter and sugars until light and fluffy. Blend in the egg, vanilla extract and milk until smooth. Mix in the dry ingredients until just combined. Gently fold in 3/4 cups of the chopped peanut butter pieces. Using either a cookie scoop or rolling by hand (I always roll my cookies by hand), drop 1 to 1-1/2 inch dough balls onto your lined cookie sheets. Gently press in the remaining 3/4 cups of chopped peanut butter pieces into the top of each dough ball (FUN!!). Bake for 12-14 minutes. Remove from the oven and let cool on a wire rack before serving or store them in an airtight container (for up to 3 days). « Happiness Project Recipe #24: Lemon Cream Sugar Cookies!